FORT WASHINGTON, PA—The National Comprehensive Cancer Network® (NCCN®) has published the 20th annual edition of the NCCN Clinical Practice Guidelines in Oncology (NCCN Guidelines®) for Non-Small Cell Lung Cancer (NSCLC), one of the eight original NCCN Guidelines® published in November 1996. “Since the first NCCN Guidelines for NSCLC were published 20 years ago, there have indeed been many advances in the diagnosis, screening, and treatment of non-small cell lung cancer,” said David S. Ettinger, MD, FACP, FCCP, Alex Grass Professor of Oncology, The Sidney Kimmel Comprehensive Cancer Center at Johns Hopkins, and NCCN Guidelines Panel Chair for NSCLC. Dr. Ettinger, who has chaired the NCCN Guidelines Panel for NSCLC since 1996, notes major accomplishments in the diagnosis and treatment of NSCLC, including the use of low-dose computed tomography (CT) scan in screening for NSCLC, as well as positron emission tomography (PET)/CT scan in diagnosis. According to Dr. Ettinger, notable radiotherapy advances include stereotactic body radiotherapy (SABR) and intensity-modulated radiotherapy (IMRT). In surgery, he said, the use of video-assisted thoracic surgery (VATS) or minimally invasive surgery has been an important advance. NCCN currently develops and publishes a library of 60 NCCN Guidelines, covering 97% of malignant cancers. The NCCN Guidelines are developed and updated through an evidence-based process in which the expert panels integrate comprehensive clinical and scientific data with the judgment of the multidisciplinary panel members and other experts drawn from NCCN Member Institutions. Access to the complete library of NCCN Guidelines is available free-of-charge at NCCN.org. On March 12 – 14, 2015, the NCCN 20th Annual Conference: Advancing the Standard of Cancer Care™ will be held at The Diplomat in Hollywood, Florida. In recognition of its 20th Anniversary, NCCN will hold a special live roundtable during the NCCN Annual Conference comprised of NCCN leadership—past and present—as well as other stakeholders who have had a significant impact on the development, progression, and success of NCCN over the years. Noteworthy historical NCCN accomplishments and events will be discussed, as well as the impact NCCN has had and continues to have on the quality, effectiveness, and efficiency of cancer care so that patients can live better lives. 1“Common Cancer Types.” National Cancer Institute. N.p., n.d. Web. 17 Nov. 2014. 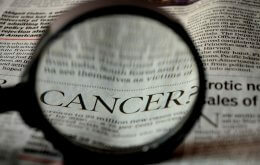 <http://www.cancer.gov/cancertopics/types/commoncancers>.